The winner of the Drama League’s acting honor, the Distinguished Performance Award, was unveiled in a ceremony at the Marriott Marquis Times Square today. 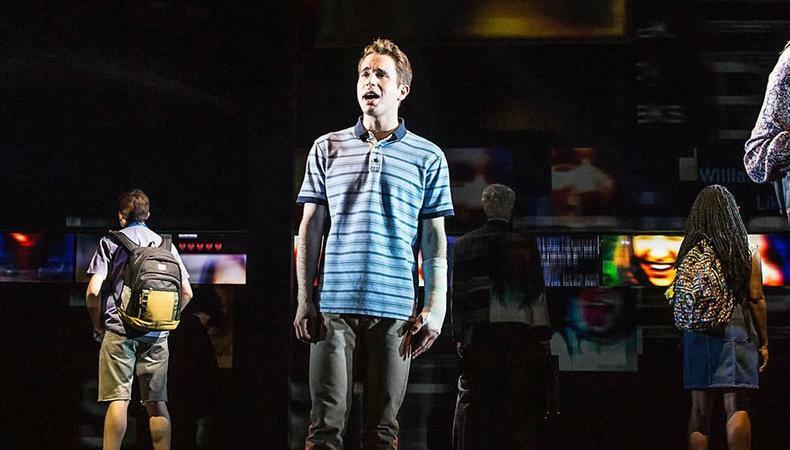 The prize, which recognizes a performance on the New York stage in the last year and can only be received once in a lifetime, went to Ben Platt of “Dear Evan Hansen,” at age 23 the youngest actor ever to have won it. The 83rd annual Drama League Awards also presented this year’s special honors to the three previously announced recipients: Bette Midler received the Distinguished Achievement in Musical Theater Award; Michael Greif was honored with The Founders Award for Excellence in Directing; and animal specialist Bill Berloni was given the Unique Contribution to the Theater Award. Among the results of the competitive categories, consisting of the best Broadway and Off-Broadway theater of the 2016–17 season, was outstanding production of a musical “Dear Evan Hansen,” which rides into next month’s Tony Awards with nine nominations and good prospects. Same goes for the League’s musical revival winner “Hello, Dolly!” which has 10 Tony nods. Outstanding production of a play and play revival went to J. T. Rogers’ “Oslo” and August Wilson’s “Jitney,” respectively. Those results may very well be repeated at the Tonys ceremony June 11. Hosted this year by Broadway husband-and-wife royalty Audra McDonald and Will Swenson, the Drama League Awards were first awarded in 1922 and formalized in 1935, making them the oldest theatrical honors in the country. The winners for best musical production and best play production have subsequently won the Tony Award five out of the last six years, solidifying the frontrunner status of both “Dear Evan Hansen” and “Hello, Dolly!” Which of the other nominated shows do you think could buck the trend?